This past weekend, Tekes from across Texas came together for the Lonestar Province Forum. This event marked the first Province Forum located in Texas in recent memory and included alumni from across the state. Frater George Torres, the Grand Province Advisor for the area, hopes this forum will serve to unite a province that spans across such a large geographic area. Frater Torres brought together representatives from the majority of the chapters in the state, as well as one from Missouri in Zeta-Pi at Culver-Stockton College. 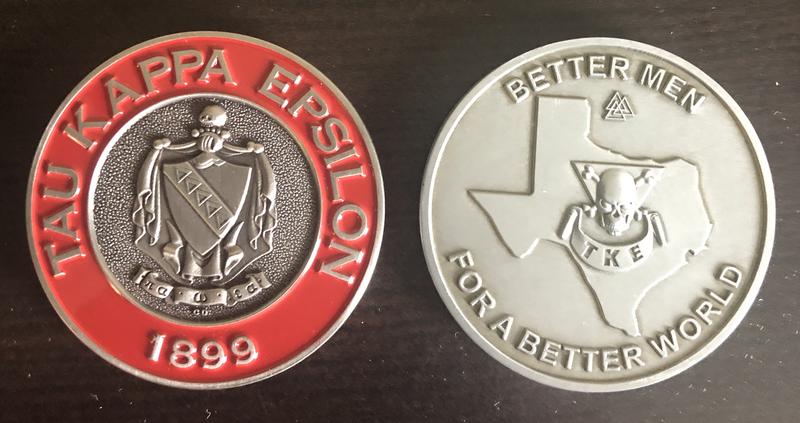 The Lonestar Forum’s goal is to increase volunteer interactions with chapters isolated because of their geographical location and may find it challenging to meet Fraters from outside their local area. Epsilon-Omicron (Houston) chapter hosted the event and was instrumental in driving the preparation. The Greater Dallas Area and Greater Houston Area Alumni Associations provided their support for the Forum as well. The forum provided training, education, guest speakers and opportunities for networking among the groups. In the Chapter Module session, they covered the basics by highlighting the tools available to members through the module. Frater Casey Fleming, BOA Chairman for Pi-Eta at Texas A&M, spoke on the success his chapter achieved by implementing an entirely new Candidate Program. He shared this program, and recruitment basics, with the other chapters in attendance. Discussing qualities of membership, priorities of actives and new members, uniformity and how a universal theme goes a long way and the value a chapter offers sells more than anything else. Alumni Frater Ansel Young presented on increasing alumni engagement, leading the discussion on strategies a chapter can utilize to invigorate their alumni communications. Also sharing that the Fraternity is for life and encouraging the collegiates to stay active by discussing the benefits of being an active Teke after graduation.